First World War gas protection. 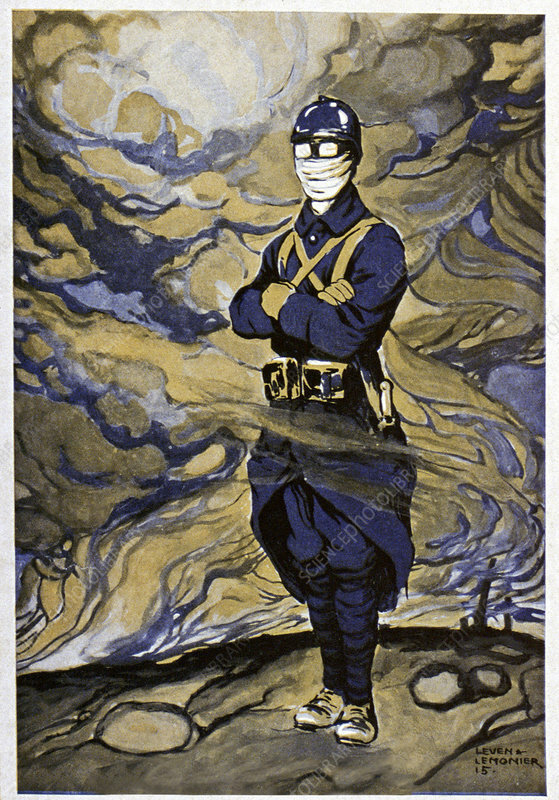 Historical illustration of a French soldier wearing a gauze mask that has been soaked in urine to protect him from poison gas (mustard gas) deployed during the First World War. Image by Leven and Lemonnier, published in Le Pays de France newspaper, France, October 1915.